1. Ben Roethlisberger-QB-Steelers- There are a whole host of reasons why we feel that Big Ben rates no more than a fantasy backup this season. For starters there is the loss of WR Mike Wallace, while TE Heath Miller (torn ACL) will likely begin the year on the PUP list and will be, at best, a mid-season acquisition. The injury prone Roethlisberger who had shoulder & rib injuries in Week 10 last season, seems to get banged up at some point every year. He has missed 8 regular season games since 2010. Roethlisberger also missed a beat or two last season as he threw for just 7.27 yards per attempt, second lowest average of his career. And finally, for those of you looking for Big Ben to post a few rushing touchdowns, the last time he had one of those was back in 2010. Find yourself a QB1 somewhere else. 2. BenJarvus Green-Ellis- Bengals- We are not saying not to draft the law firm; instead we don’t think he is a top 25 back and as such you shouldn’t reach for him too early in your drafts. If the Bengals thought that Green-Ellis was their featured RB for years to come, they would not have gone out and drafted Giovani Bernard in the 2nd round last April. 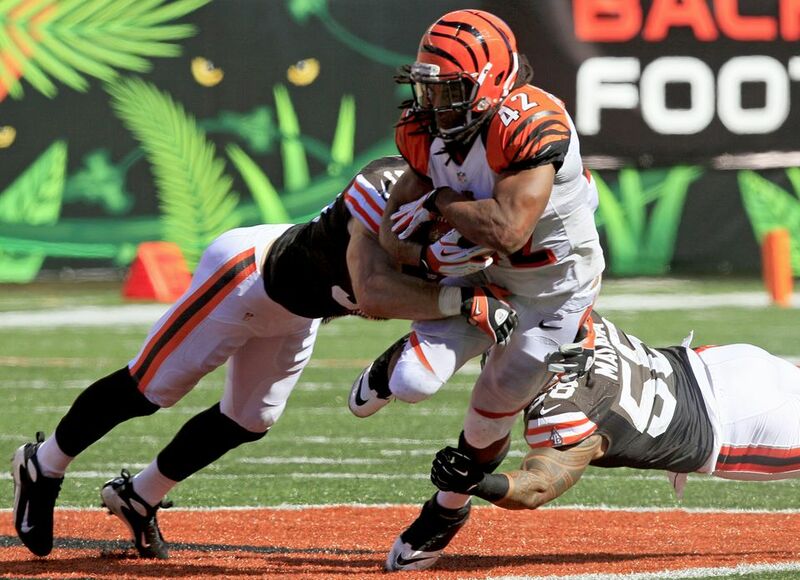 As he and Gio will be splitting carries, Green-Ellis’ fantasy value will take a hit. A more telling sign that should make you think twice before snagging him, is that the BJGE averaged only 3.9 yards per carry last season which tied him with Jets RB Shonn Greene for the worst among 10 backs with at least 275 carries. 3. Mikel Leshoure-RB-Lions- Except in the deepest of leagues, we do not recommend that you target the 23 year old unless you are looking for a RB3 or a bye-week fill in. With the off-season signing of Reggie Bush, Leshoure’s fantasy numbers will take a nose dive. Yes, he’ll probably gobble up some goal-to-go opportunities as he did last year, but he won’t get the starting duties for the Lions with Reggie Bush fitting in so adroitly with the Lion’s offensive scheme. 4. DeSean Jackson-WR-Eagles- This was an easy ‘bust’ candidate for us to select as he has already been a bust over the past several seasons. Unfortunately, many fantasy players see D-Jax on the board and grab him because of his name and ability instead of looking at his resume. In his last two seasons he was targeted 192 times but only reached the endzone 6 times. That’s six touchdowns in 26 games! You could do better! Granted Jackson has had his share of injuries and has lacked a stable and consistent quarterback but that’s not your problem. You’re trying to win your league and Jackson who only averages 3.9 catches per game is not someone who will help you do that. 5. Kenny Britt-WR-Titans- With Jake Locker under center again, there really isn’t any receiver worthy of fantasy greatness on this Titans team. Clearly not someone like Britt who has not topped 775 yards receiving in any of his four years with the club. Britt has also had some legal issues and an injury history going against him. Additionally, the Titans sent Britt a message when they drafted WR Justin Hunter this Spring, so unless Locker becomes ‘Peytonesque’ this Fall, Britt is no more than a WR backup. 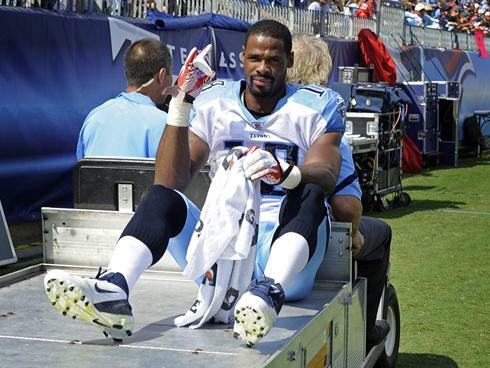 I admit I fall for the Kenny Britt one every year. He will be sitting there around 8th or 9th round and I always get him in hope that he explodes. The year when he tore his ACL or whatever he was a beast for those games before and I felt he was finally going to pay off and then crack he is gone. Yet again every year I grab him and every year I either drop him or add him in a trade. Good list can’t wait til the next 5. If I had to guess it will be Peyton Manning, Tom Brady, Drew Brees, and Adrian Peterson top of your bust list right? Right? Thanks for checking in though Jason. Appreciate it. Another thing working against Roethlisberger is that head coach Mike Tomlin wants the team to be more of a power running team, and I think Roethlisberger wants a more wide open passing attack like they had when Bruce Arians was there. Plus he and offensive coordinator Todd Haley still aren’t really on the same page, so there could be some dissention going on there. I completely agree. All these either have bad offenses, or there are better weapons than these on those offenses, or they have injury problems like Ben and Britt.